From this moment it is possible to connect more then 20 payment providers and banks with Ninja Forms. Providers like Mollie, Sisow, Multisafepay and Pay.nl. 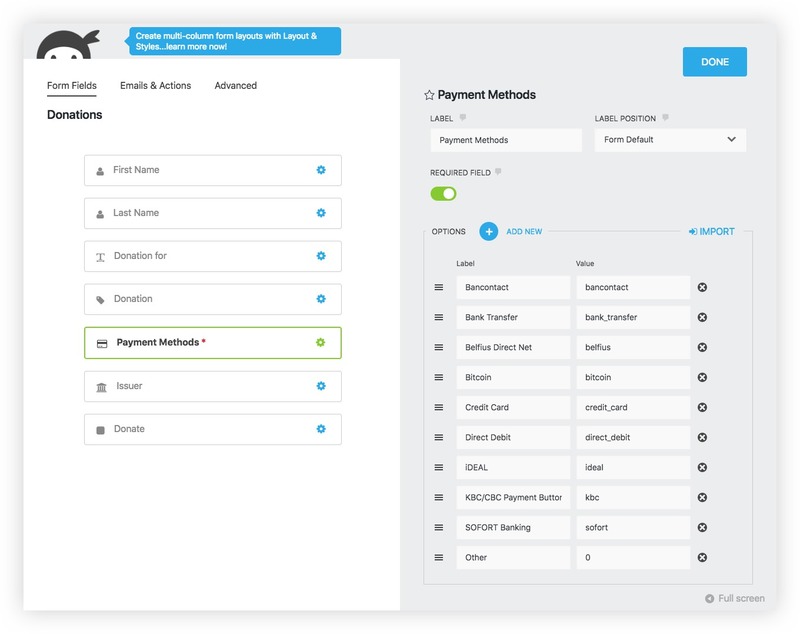 Almost every payment method available with the payment provider is available within Ninja Forms. The standaard (free) version of Ninja Forms can be downloaded from the WordPress Plugin Directory. For additional functionality like conditional logic, connection with a CRM system, Slack or HelpScout there are more then 40 (premium) add-ons available. 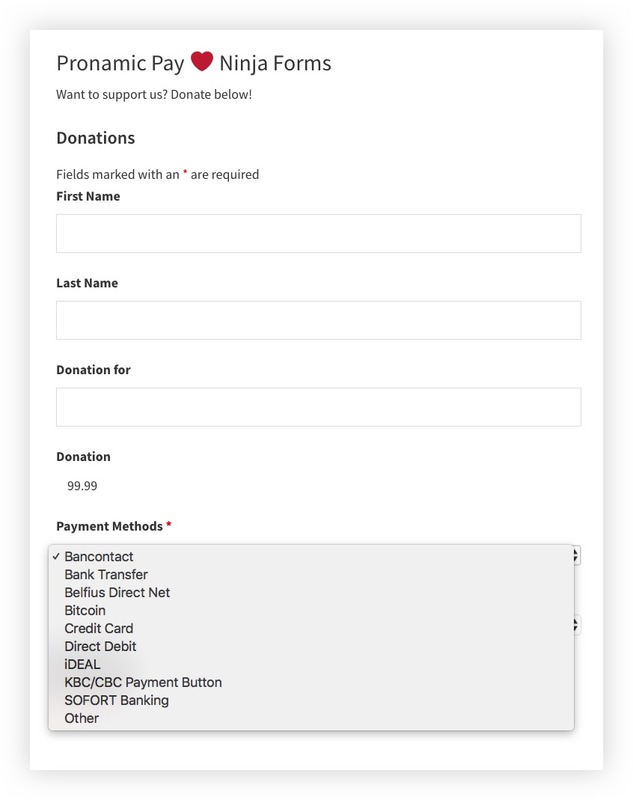 It becomes very easy to sell a product or to receive donations with Ninja Forms with the Pronamic Pay plugin. It is child’s play to add a payment option to a form. With the integration of Ninja Forms and Pronamic Pay we add two extra form fields to Ninja Forms. These are ‘Payment Methods’ and ‘Issuer’. With the ‘Payment Methods’ field the visitor can choose a method how they want to pay. Depending on the active payment options the methods will be available within the form. With the ‘Issuer’ field the visitor can choose a bank when they want to pay with the popular Dutch payment method ‘iDEAL’. When the add-on ‘Conditional Logic‘ is available you can hide this field until the payment method ‘iDEAL’ is chosen. Next to the new feature for Ninja Forms this update includes some smaller updates for Gravity Forms, MemberPress and Restrict Content Pro.